The biggest drop was in the Dublin South Central district where the number fell by a further 12% since May of this year. THE NUMBER OF garda reserves has fallen from 1,164 in 2013 to just 756. Garda management keeps this distribution of resources under continual review in the context of crime trends and policing priorities so as to ensure that the optimum use is made of these resources. 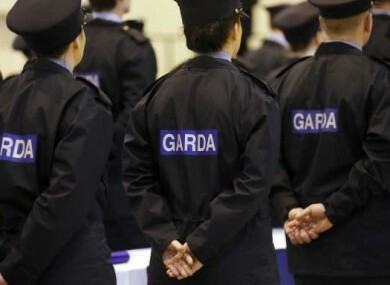 However Fitzgerald said that the fall-off is due to the lifting of the moratorium on recruitment of trainee gardaí which has affected reserve numbers as over 160 serving reserves applied to become trainee gardaí, and resources in both An Garda Síochána and in the Public Appointment Service have been focused on delivering recruitment of full time gardaí. There was a commitment in the Programme for Government to more than double the number of garda reserves nationally and bring the strength of the force up to 2,000 over the next five years. Fitzgerald said, “This will be significant undertaking and it is important that the processes around it are efficient and effective as possible. “With this in mind the Commissioner is examining how the recruitment should be done – centrally as has been the case to date or more locally – and also how the training can best be delivered. 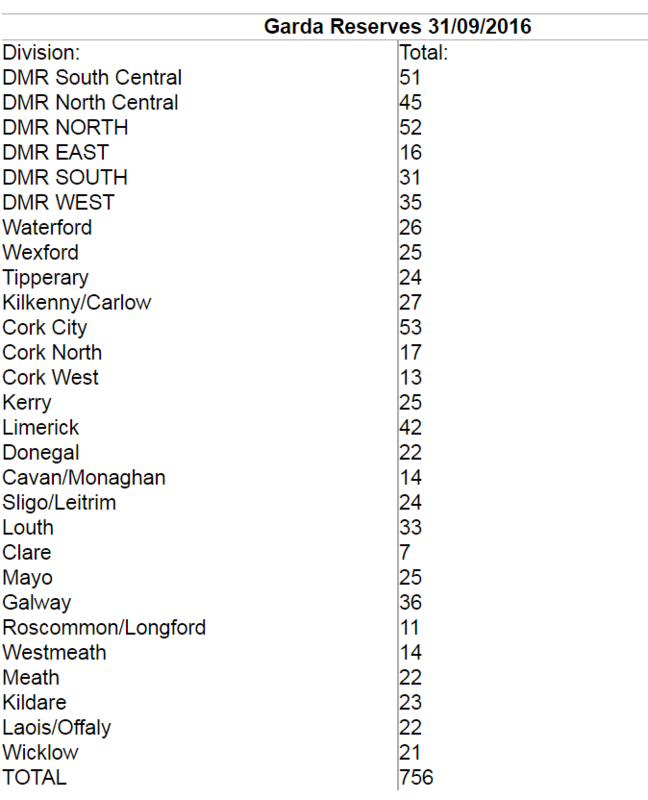 Email “Garda reserve numbers dropped 35% since 2014, here's how many reserves are in each division”. Feedback on “Garda reserve numbers dropped 35% since 2014, here's how many reserves are in each division”.